It’s no fun to pay taxes. With the right investment strategies, you can significantly minimize your tax liabilities. There are several investment options available, each with their own unique set of benefits and advantages. Let’s look at some of the top tax-free investments that let you keep the money you earn. Choosing the right tax-free investments depends on your current financial situation and retirement goals. It’s important to keep in mind that income levels will limit some of these investment options. Other investments may trigger AMT taxation. Each investment should be carefully analyzed and considered for your financial needs. You may benefit from the advice of a certified accountant or financial planner before implementing these potential investment strategies. Employer-sponsored retirement plans offer great ways to invest for long-term periods. Your pre-tax contributions are deducted from your paycheck which lowers your adjusted gross income (AGI). Many companies will match your contributions up to a set amount and may even offer profit sharing plans. The earnings accrue tax-deferred and can be withdrawn after retirement when in a lower tax bracket. There are limited contribution amounts and penalties for withdrawing funds early. You might also consider a Roth 401(k) which uses after-tax money for contributions but offers tax-free growth and tax-free withdrawals in retirement. Although contribution limits are spread between a 401(k) and Roth 401 (k), you can contribute to both if desired. A diversified retirement portfolio will provide more withdrawal options and benefits. Employees of nonprofit companies may have access to a 403(b) retirement plan instead of a 401(k). Both use pre-tax dollars and grow tax-deferred; however, the nonprofit employer may not offer matching contributions. Generally, a 403(b) has lower administration costs associated as well. These employer-sponsored retirement plans are excellent ways to invest tax-free and should be one of the first methods considered, especially if price matching is available from the employer. An Individual Retirement Account (IRA) should also be considered for tax-conscious investors as these plans offer tax-free growth. Both traditional and Roth IRAs allow annual contributions up to $5,500 (under 50) and $6,500 (over 50). However, income limits and company retirement plans can impact eligibility and the deductions available. High-income earners can still utilize the benefits of these options with a little more work. Traditional IRAs allow pre-tax money to be invested tax-free and withdrawn in a lower tax rate at retirement. However, traditional IRAs also come with drawbacks such as mandatory disbursements after a certain age and other issues. In contrast, a Roth IRA uses after-tax money and is tax-free at retirement but has income eligibility requirements. High-income earners may not be able to invest directly into a Roth IRA. This can be circumvented by first investing in a traditional IRA and then converting to a Roth IRA. Before considering this method, there are tax implications to consider, especially if you already have an IRA. Consult with a financial advisor today if you have any questions about IRA investments. Tax-conscious investors can also utilize a Health Savings Account (HSA) to invest in tax-deferred and tax-free earnings on eligible spending. In addition to decreased medical costs for upfront spending and saving for medical expenses, a health savings account offers tax benefits as well. Pre-tax contributions can be tax deductible, and interest earned is tax-deferred. Money will grow until it is used and does not expire. When utilizing an HSA for eligible medical expenses, withdrawals can be tax-free. You can also consider additional HSA accounts for family members or a family HSA plan but beware of annual contribution limits. Also, HSA accounts are limited to high-deductible insurance plan holders. Current healthcare spending trends seem to favor high-deductible plans. Insurance companies and employers are also keen to pass on more costs to plan holders in order to ensure responsible health care spending. Investing in an HSA account offers many tax and healthcare spending advantages, making high-deductible healthcare plans more attractive, especially if your employer offers matching contributions. Called a “muni” for short, a municipal bond is issued by a state, city or county to finance spending. Since these bonds are backed by government entities they are generally safer, but typically offer a lower return. Municipal bonds are sometimes called triple tax-free bonds because some are exempt from federal, state, and city taxes depending on where you live. However, not every muni is exempt from taxes so consider your options carefully. In other cases, investing in municipal bonds may cause the Alternative Minimum Tax (AMT) to apply which can greatly impact your taxes. When considering investing in a bond, carefully research the returns and taxes associated to determine if the investment would be worth your time. These bonds do offer tax incentives for high tax bracket individuals, especially if issued by the city or state where you reside. However, in some cases, a taxable account may offer better after-tax returns than a municipal bond with tax-free returns. Before you automatically forgo taxable investments in lieu of tax-free options, ask a professional to make sure you are choosing smart investments. In the pursuit of tax-efficient investing, you should certainly consider exchange-traded funds (ETFs). ETFs usually have lower costs than mutual funds and offer more flexibility as well. The tax benefit depends on the types of bonds held by the ETF. For example, U.S. government bond ETFs may be free from local and state tax but are subject to federal tax. In contrast, municipal bond ETFs are possibly free from federal, state, and local taxes. There are many different ETFs available, and many providers or exchanges offer them. The best ETFs depend on your age, income level, retirement goals, risk, and other factors. Consult with a tax advisor to determine the best investments for your financial status and eligibility. Another investment to consider is a 529 education plan. This allows you to set money aside for school tuition and higher education. Contributions are after-tax and not deductible, but some accumulated tax is deferred. In addition, distributions for eligible college or higher education costs may be tax-free at the federal level but only tax-free in some states. Before starting a 529, you should consider the benefits based on your location and planned usage. Using the money on non-qualified expenses is subject to income tax, plus a penalty on earnings. Money invested into a 529 is not as liquid as other investments without facing those penalties. However, you can change the beneficiary of a 529 plan if the intended recipient decides not to go to college. For example, you can transfer the beneficiary to yourself or to another dependent if desired. U.S. Series I savings bonds offer another investment option, albeit one that may not be as advantageous as other tax-free investment plans. While exempt from state and local taxes, you will be liable for federal tax on interest income. However, you or a qualified dependent may be able to pay for some educational expenses tax-free using these bonds, depending on income limits and other restrictions. Charitable donations are another method of tax-free investing. You can gift stocks to a charity in order to pass on capital gains tax. A charitable donation can also provide tax deductions when itemizing your taxes. Research this method carefully as there are restrictions, time limits, and downsides. However, in some situations, especially for high-income earners, it may prove beneficial. Another option is to gift money to a dependent. Uniform Gift to Minors Act (UGMA) provides tax-free and lower tax bracket options for certain investments. It is important to note that these gift amounts have the potential to impact the child’s future financial aid eligibility. There are also complicated gift tax laws to consider. While this method may not be as tax efficient as other methods discussed, it bears further scrutiny. 1031 exchanges are a form of tax-free investing which involve changing an investment without paying on the capital gains. Typically, this method is seen in real estate where one property investment is replaced by another and gains are reinvested. The capital gains tax may be deferred to later dates as there are no limits on the number of 1031 exchanges that can be made. However, there are limitations on which investments can be exchanged. There are also taxes due for amount differences between investments. Since there are many complications that can arise from this method, it is highly recommended that you seek a real estate tax expert for financial advice before reinvesting. 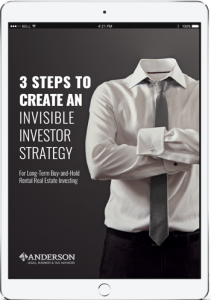 The Anderson Advisors Real Estate Tax Guide is a great source for general information on real estate taxes. One of the most flexible tax-free retirement strategies available today is Indexed Universal Life (IUL) insurance. When properly structured, IULs allow you to accumulate a cash value within a life insurance policy. Tax-free loans can be taken throughout the life of the policy and repaid only if desired.  IULs can supplement employer-sponsored retirement plans or IRAs or make a great alternative for small business owners who cannot contribute to a plan for employees. There are no funding limits, withdrawal requirements, or restrictions like a traditional requirement account. This plan does not only benefit high-income earners like some of the other options and can be set up at any age. For example, a parent can own a policy on a minor child which can provide a college funding option or future financial security for the child. In order to take advantage of these benefits, the IUL must be structured correctly. 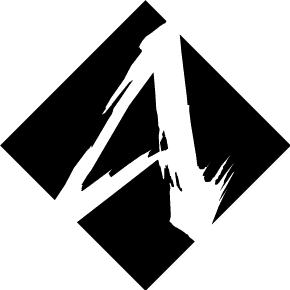 The financial professionals at Anderson Financial Services, LLC have years of experience structuring IULs for Anderson Advisors’ clients to meet their needs. Tax-free investments can minimize your tax liability and let you keep more of the money you earn. Financial investing carries both risks and rewards, and it’s important to determine the best or most efficient investing strategy for your specific needs. If you are considering tax-free investing, be sure to research your options carefully or speak to a tax professional. There are many tax-free investment options available for investors that use proper tax planning strategies. Some of these options provide better benefits and more comprehensive tax advantages than others. Start with the best options, such as your employer’s 401(k) or 403 (b) retirement plans, or an IRA/Roth IRA. You can also invest money tax-free through an HSA account or by buying tax-free municipal bonds. Another option is investing in tax-free ETFs. In some cases, it may be worthwhile to consider a 529 education plan for yourself or qualified dependent. Also, U.S. Series I savings bonds, charitable donations, and 1031 exchanges all provide some form of a tax incentive. Be sure to consider the alternative minimum tax (AMT) which can impact your taxes greatly, if applicable. When pursuing investments with tax advantages, it’s best to find the optimal mix of investments that provide the highest tax advantages with the lowest disadvantages. Due to the complexity of taxes and related laws, it can be difficult to research and file correctly. A financial tax expert with experience in tax-free investments can help you choose the most effective strategy to achieve your goals and protect your family wealth. 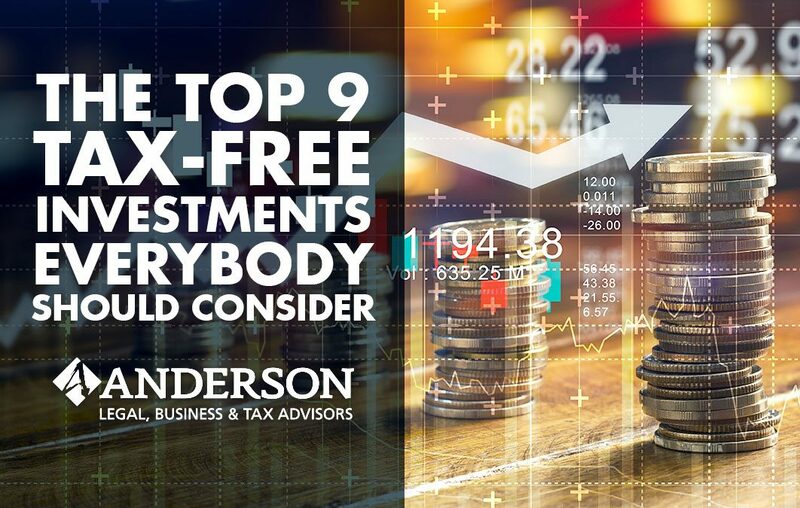 Reach out to Anderson Advisors today to learn which tax-free investments are best for you.